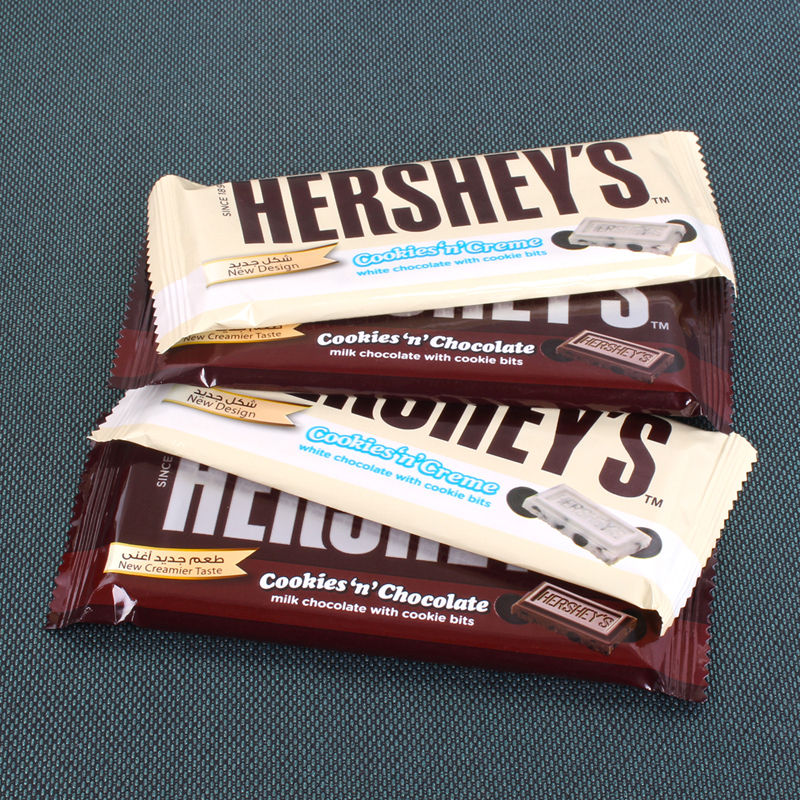 Product Consists : 2 Bars of Hersheys Cookies n Chocolate (Net Weight : 35g each) and 2 Bars of Hersheys Cookies n Creme (Net Weight : 35g each). 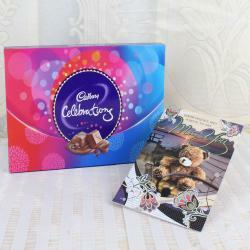 Enjoy the moments of love with your dear one and gif them this amazing chocolate which is full of delights. Hersheys Cookies n Creme is a flat, white candy bar containing uniformly-shaped cookie bits similar in taste and texture to an Oreo. 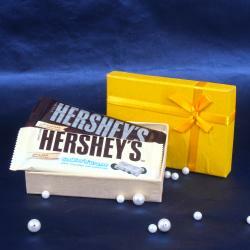 The pack of Hersheys milk and white chocolate will create a magic and will be loved for its delicious tempting taste. It is Know as worlds largest hersheys milk chocolate with cookie bits and white chocolate with cookie bits, The American candy bar. A unique twist on the classic both flavours in every single bite. 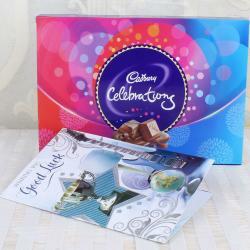 This combo has the warmth of love and care which will be deliver though this. 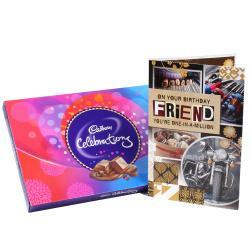 Product Includes : 2 Bars of Hersheys Cookies n Chocolate (Net Weight : 35 gms each) and 2 Bars of Hersheys Cookies n Creme ( Weight : 35 gms each).